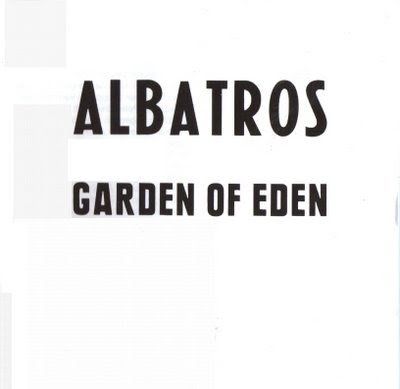 Albatros from Hagen, named after the great Fleetwood Mac song from 1968, played polished art rock in the vein of the early Genesis or the early Wallenstein. Actually they were so good that their one and only record, "Garden of Eden", is a real treat for the ears. It is so imaginative and varied, the performance is so skillful and the recording so accurate that the band needn't shun any comparison. Due to the small edition of 500 copies, it was only in 1999 that the LP turned up in collectors' circles. It sells for a price of about US$500 now. Formed in early 1974, the band had soon won several prizes in contests in the wider Sauerland region, thus becoming a well-known figure there. Yet they never had a full-time manager actively looking after the business side. And so, unfortunately, they were denied their due recognition. A recommended album.